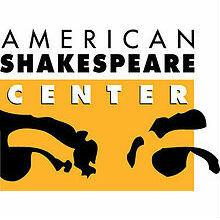 The American Shakespeare Center closed submissions for the first round of the Shakespeare’s New Contemporaries Project on February 15 at 11:59 pm PST. The company received 189 complete and eligible submissions from 32 US states and internationally from 10 countries. The Shakespeare’s New Contemporaries Project is a twenty-year initiative to discover, develop, and produce plays that are inspired by and in conversation with Shakespeare’s work. Winning plays are performed in repertory with their Shakespeare counterparts at the Blackfriars Playhouse in Staunton, Virginia. Writers of the winning plays receive a cash prize of $25,000 and funds to support their travel and housing for the rehearsal process. The first round of the project solicited plays inspired by The Merry Wives of Windsor; Henry IV, Part 1; The Comedy of Errors; or The Winter’s Tale. All eligible scripts will be read in their entirety by the first round readers. The top-rated scripts will move forward to a committee of industry professionals. The winners will be chosen by ASC leadership: Ralph Alan Cohen, Director of Mission; Amy Wratchford, Managing Director; Jay McClure, Associate Producing Director; and Anne G. Morgan, Literary Manager. The ASC will announce the winning titles in June 2018. The plays will be performed as part of the 2019 Actors’ Renaissance and Spring Seasons. The ASC’s open submission window for its second-round titles (Othello; Henry IV, Part 2; A Midsummer Night’s Dream; and Cymbeline) is June 1 – August 1, 2018.